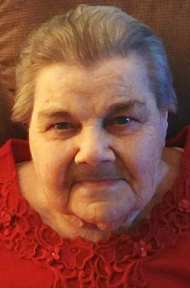 Bertha M. Ratliff, 86, of Lancaster passed away on Monday, September 10, 2018. She was the daughter of the late Mary (Harmess) and George Schickel, Sr.
Bertha enjoyed visiting the beach. She loved to people watch and made friends wherever she went. Mostly Bertha enjoyed spending time with and providing for her family. Bertha is survived by her children: Elaine Eshelman of CA, Eileen Churchill of Montana and Darlene Raab (Douglas) of Lancaster; 5 grandchildren: Ron Jason, Jeremy, Brandon, Travis and Kayla; 7 great grandchildren; her sisters Linda Fisher (John) and Florence Kreider both of Lancaster. She was predeceased by 7 siblings: Betty Harnish, Janetta “Dolly” Murray, Florence Kreider, George Schickel, Jr., Frankie Schickel, Johnny Schickel, Sr., Robert Schickel and Mary Alice Wanger. Friends and family will be received on Thursday, September 13, 2018 from 6PM-8PM at the Charles F. Snyder Jr. Funeral Home and Crematory, 3110 Lititz Pike, Lititz, PA 17543. A Funeral Service will be held at 11AM on Friday, September 14, 2018 at the funeral home. Friends and family will be received from 10AM-11AM. Interment will follow at Conestoga Memorial Park.